Professor Lis Howell, of the Department of Journalism at City University London, will reveal the latest results of her research into women in broadcasting during her inaugural lecture. The award-winning journalist, who is Head of Broadcasting at City, will explore her latest study on the number of female experts used by radio and television news programmes. The public lecture – at 6.30pm, on Wednesday 25th November 2015 – is free to attend and will be introduced by BBC newsreader and City alumna Sophie Raworth. Professor Howell’s previous research, conducted between 2012 and 2014, created national headlines when she showed that male experts outnumber female experts on flagship news shows by four to one. After the publication of her study, the academic was invited to be a Specialist Advisor for a House of Lords inquiry into women in broadcasting, which concluded that more must be done to increase the number of women in news and current affairs programmes. 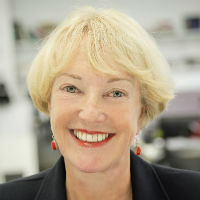 Professor Howell said: “The results of our previous study showed that broadcast news programmes have been letting women down, with four times more males than females used as experts on flagship British news programmes produced by the BBC, ITN, Sky News and Channel 4. It’s astonishing to find that in one sample of the survey, there were ten times as many UK male politicians featured on the news as female politicians. Even sport wasn’t that bad. What is going on? “My latest research, which covers an 18-month period from March 2014 to September 2015, will reveal whether there has been movement towards equality, but don’t hold your breath. Broadcasters unfailingly mean well but there is something about the nature of news broadcasting which means expert woman just don’t get their fair share of the air waves and we are trying to find out why. “On the other hand we can still hope, and maybe the new figures will show that the proportion of women has moved towards the ratio of two to one. Even the wildest optimist would not hope for more. Watch this space! In a career spanning more than 30 years, Professor Howell has worked in senior roles across the UK’s major broadcasters, including the BBC, ITV, Channel 4 and Sky News. Inaugural lectures provide an opportunity for academics to introduce themselves to their peers, students and wider university community, while giving an overview of their research and contribution to their fields of study.